Find a sleek and fashionable armoire to store your treasured gems. 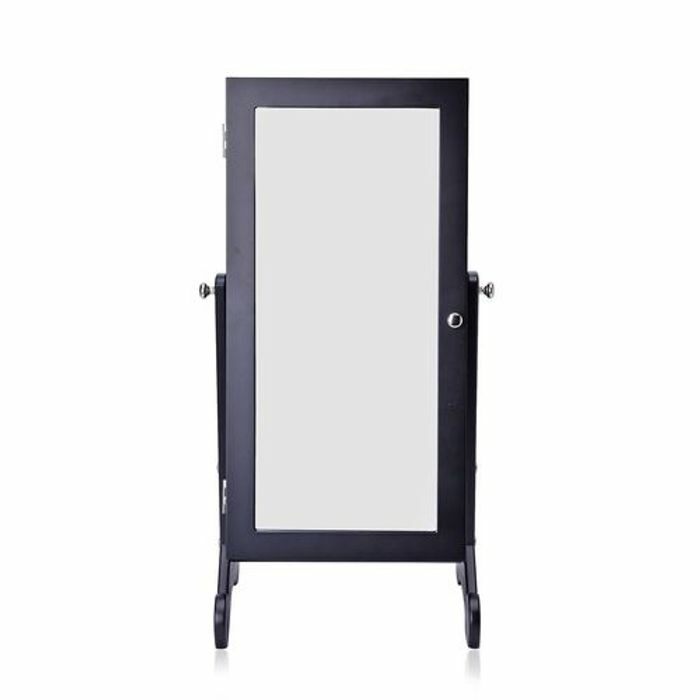 Structured out of solid black wood on the exterior and lined with velvet on the interior, the cabinet comes with a full mirrored front. With the capacity of storing 6 necklaces, 3 shelves, and 12-18 rings, this cabinet can be put together in just a few minutes, after following instructions. Sizing up to 60.5*30*20 cms, this standing armoire is a coveted feature from our collection. What do you think of this TJC deal?